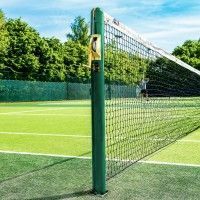 These tennis court net dividers are the perfect way to separate your courts in an indoor tennis arena. 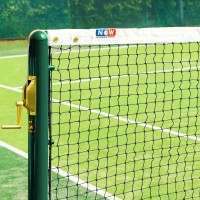 The unique curtain-like system allows you to easily keep your tennis courts separated or together if you wish. The high-quality package contains everything you need to install your net dividing system right away whilst guaranteeing exceptional longevity at the same time. 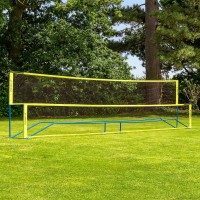 Standing an impressive 4m tall, this system is available in three lengths; 34m, 36m or 38m with custom options also available upon request. 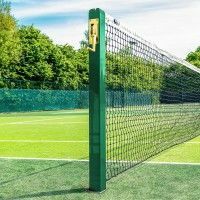 This tennis court net divider will guarantee supreme durability. 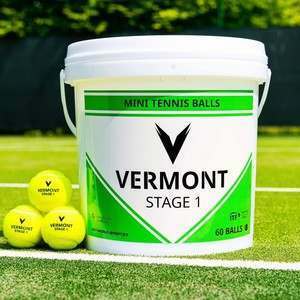 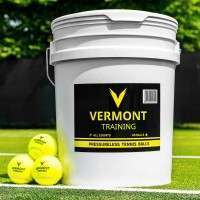 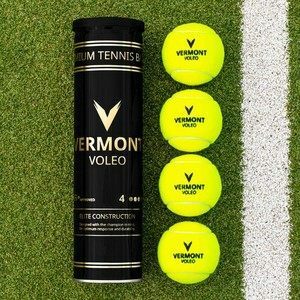 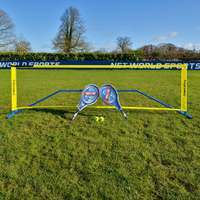 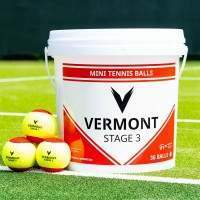 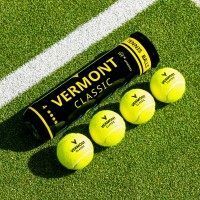 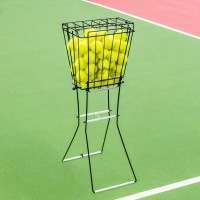 The netting, which has been crafted using 2mm twisted HDPP, features a heavy-duty 50mm mesh allowing it easily to cope with stray tennis balls. 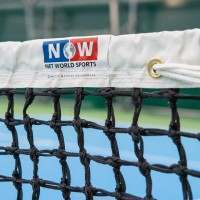 The netting is banded entirely using white cotton tape which also acts as additional weight on the bottom to stop tennis balls rolling underneath it. 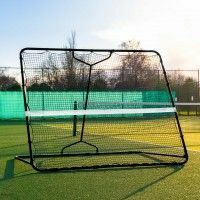 The top banding features high-quality brass eyelets every 30cm to allow you to attach the net to the tensioned wire.